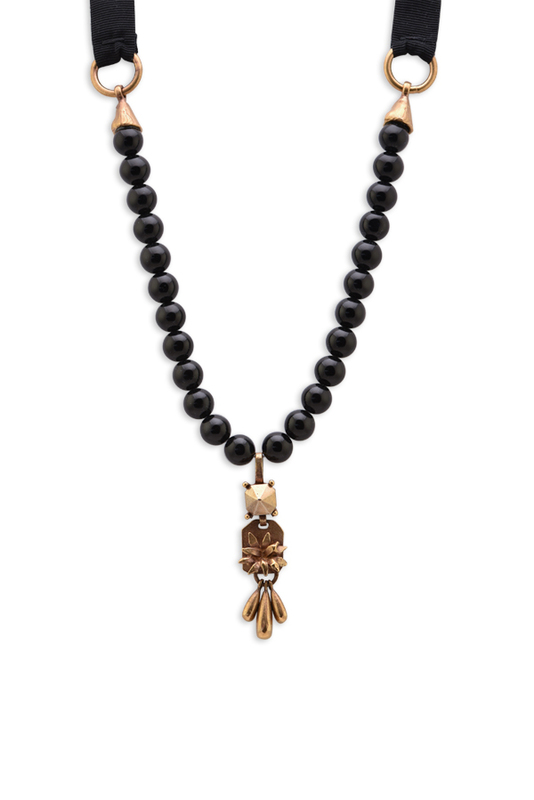 Valentino Garavani black beaded chain and antique effect gold tone teardrop pendant necklace. Chain length: 28". Pendant length 2.5"